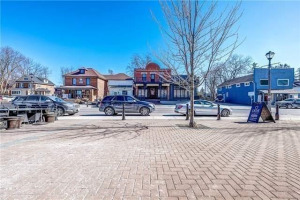 Luxurious 2 Bedroom Condo In Amazing Prime Location Of Kleinburg Village, Just Steps To Schools, Restaurants & Shopping! This Stunning Unit Features Open Concept Living Space With 9Ft Ceilings, High Quality Finishes, Pot Lights And A Gourmet Kitchen That Has Upgraded Granite Counters With Breakfast Bar And S/S Appliances! Whether For Yourself Or As An Investment, Don't Miss Out! Fridge, Stove, Built-In Dishwasher, Washer, Dryer, All Electrical Light Fixtures, And Existing Window Coverings! Just Move Right In!